Galveston Tree Sculptures After Hurricane Ike. The Galveston tree sculptures were born out of trees destroyed by hurricane Ike in 2008. It has become a major Galveston attraction. About 40, 000 trees were killed during the storm surge on the island leaving the landscape bare. 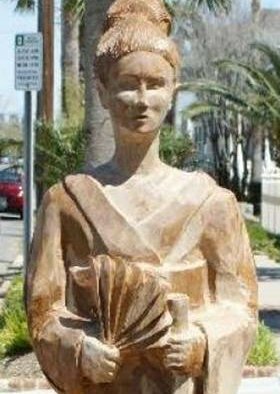 Galveston Island Tree Conservancy member Donna Leibbert petitioned city hall for permission to have the trees used as sculptures at city hall. After some hesitation they gave her the permission. Later the Conservancy raised funds to create more sculptures from the dead trees. Artist James Phillips who lives in Clear Lake, Texas donated his time for the first sculpture. Local artist Earl Jones has also done work on a number of sculptures. Today there are a number of tree sculptures all over the island for tourists to see. If you are biker this will also be a great opportunity to ride through these areas. Here is the list of areas to see the Galveston tree sculptures. They are all visible from the street. All of the sculptures listed below are clearly visible from the street.